In recent years, militant groups in the beautiful Swat valley, led by radical cleric Maulana Fazlullah, have been attacking and killing civilians as well as security forces in scenic Swat. In some 60 villages, the militants have set up a de facto "parallel government" with Islamic courts imposing sharia law. The region is effectively under militant control despite the presence of 20,000 Pakistani troops. Local opponents of the militants have been harshly critical of Pakistani civil society for its lack of concern for their plight as well as critical of the military and provincial government for their ineffective measures for controlling the tide of militancy. It should be noted that in May, 2008, the NWFP government led by Pashtoon Nationalists attempted to appease the Swat militants by agreeing to allow their version of Shariah to be imposed in Swat valley. Media reports indicate that the Taliban are enforcing a complete ban on female education in the Swat district. Some 400 private schools enrolling 40,000 girls have been shut down. At least 10 girls' schools that tried to open after the January 15, 2009 deadline by the Taliban were blown up by the militants in the town of Mingora, the headquarters of the Swat district. "More than 170 schools have been bombed or burned, along with other government-owned buildings." There is widespread sorrow and outrage in Pakistan over the ongoing situation in Swat and other parts of Pakistan which are being threatened by a growing insurgency. Let us put these troubling events in perspective. Throughout human history, there have been bloody insurgencies. The Ridda wars in the early days of Islam during the first Caliph Aboobakr's rule were fought to defeat an insurgency that threatened the existence of Islamic state soon after Prophet Muhammad's death. For those of us living in US or UK, let’s not ignore the history of prolonged and extremely violent civil wars fought by these two nations in earlier times. The situation today is no different in South Asia. Just look in Pakistan’s neighborhood for comparison. The beautiful island nation of Sri Lanka has had a long and bloody insurgency by a Tamil separatist group LTTE, initially created, trained and funded by Indian Intelligence agency RAW. Still very active, the Sri Lanka war marked the beginning of the suicide bombing as a tactic to rattle the government and population and it has claimed tens thousands of lives. In India, a Maoist group calling themselves the “Naxalites” have exploited growing economic disparities in India to carve out a “red corridor” of activity that runs from the Nepalese border to the jungles of central India. Fighting in thirteen of India’s twenty-eight provinces and boasting between 10,000 and 20,000 dedicated followers, the Naxalites pose India’s biggest internal security threat. In contrast to the scattered actions of Kashmiris, the Naxalites are in every way a traditional communist insurgency. UC Berkeley Professor Chhibber has described the total absence of any legitimate civil authority in large parts of India that remind of the parts of Pakistan's FATA region. The Indian government relies on private militias to enter such Maoist-controlled areas for limited purpose and duration, when absolutely needed. Since 1989 more than 80,000 have died in insurgencies in Kashmir and the northeastern states. Manmohan Singh himself has called the Maoist insurgency centered on the state of Chhattisgarh the biggest internal security threat to India since independence. The Maoists, however, are confined to rural areas; their bold tactics haven't rattled Indian middle-class confidence in recent years as much as the bomb attacks in major cities have, according to Indian writer Pankaj Mishra. As the insurgencies intensify, the domestic and international critics of Pakistani military are growing louder. A large part of the criticism stems from the military's role in national affairs that has not always been in the best interest of the people. Many Pakistanis have significant grievances against the past actions of the military. But this harsh criticism is clearly not helpful in dealing with the current challenges. Among the various institutions in Pakistan, we must recognize that the military, backed by a comprehensive political strategy, is the only strong institution capable of dealing with both internal and external threats at this time in the nation's history. That is not to say that seek a purely military solution. The primary purpose of counterinsurgency operations should be to protect the ordinary citizens and neutralize the hard-core terrorists with the help of the population. It requires a strategy to win the support of the people rather than just to kill or capture the terrorists. The best thing for Pakistanis is to have courage and patience and not give up hope in the face of extreme difficulty. Counterinsurgency is something very difficult for the conventional army of any nation, designed, equipped and trained mainly to fight conventional wars. But Pakistani military and civilian leadership are learning from their experience and they can and will eventually defeat the insurgents, if the people of Pakistan support their efforts by words and deeds. It is much easier to criticize and express dismay at these events than to actually deal with such events effectively. Despondency is our worst enemy. Let us ignore the prophets of doom and gloom and not allow ourselves to be demoralized. Your thoughts about LTTE & RAW nexus are wrong. I don't know from where FAS got that report, but RAW has no reason to support LTTE. Sri Lanka has always been a friendly nation to India. Aiding LTTE would have been a huge blunder, which any sensible organization would avoid. It is true that LTTE does get a limited support from some elements within Tamilnadu. Most of the times it is opposition party in TN govt, which tries to get some polotical advantage by openly supporting so called "tamil cause". But thats all LTTE gets. Secondly, your thoughts of lawless areas in India are incomplete. There may be some parts which are very remote, and there has been less development. But certainly not comparable to FATA. FATA is something which is very extreme, safe haven for terrorism. Even though naxalites do leverage remote areas, their area of influence are very small. By the way, today I heard a news that Taliban has openly threatened to attack Islamabad & Lahore. They said that they are planning that from last 2 years. Clearly they do not have enough strengh to do so, but their confidense seems sky high. They also stuck posters in Islamabad. How are Pakistani people looking at this? Is there a nexus between some elements of your army & Taliban? You assert, "Your thoughts about LTTE & RAW nexus are wrong. I don't know from where FAS got that report, but RAW has no reason to support LTTE. Sri Lanka has always been a friendly nation to India"
This is from Jain Commission report: "During the course of its investigation the Jain Commission received testimony on the official Indian support to the various Sri Lankan Tamil armed groups in Tamil Nadu. From 1981, RAW and the Intelligence Bureau established a network of as many as 30 training bases for these groups in India. Centers were also established at the high-security military installation of Chakrata, near Dehra Dun, and in the Ramakrishna Puram area of New Delhi. This clandestine support to the Liberation Tigers of Tamil Eelam (LTTE), some of whom were on the payroll of RAW, was later suspended. Starting in late 1986 the Research and Analysis Wing focused surveillance on the LTTE which was expanding ties with Tamil Nadu separatist groups. Rajiv Gandhi sought to establish good relations with the LTTE, even after the Indian Peace Keeping Force [IPKF] experience in Sri Lanka. But the Indian intelligence community failed to accurately assess the character of the LTTE and its orientation India and its political leaders. The LTTE assassination of Rajiv Gandhi was apparently motivated by fears of a possible re-induction of the Indian Peace Keeping Force (IPKF) in Sri Lanka and a crackdown on the LTTE network in Tamil Nadu." You also suggest, "There may be some parts which are very remote, and there has been less development. But certainly not comparable to FATA. FATA is something which is very extreme, safe haven for terrorism." You ask, "Is there a nexus between some elements of your army & Taliban?" It is possible that there are links with some retired military personnel who helped groom the Taliban fighters in the 1980s/90s. But I think the military has been thoroughly purged of such elements in the aftermath of 911. Why such peace loving people,beautiful people have turned violent? They have not Sir.The people over there want Islamic Laws,Islamic Shariat to be enforced.What is wrong with it?Even the Pakistani Constitution describes that all laws should be in accordance with Quran and Sunnat.And there is more valid reasons for introducing Shariat laws in Swat.Before merger with Pakistan,these laws were already implemented there.It was only after merger with Pakistan that people witnessed crimes in Swat,Few prostitutes,few theft cases,young ones smoking pots,all these events disturbed people.As he made people to realise that their old peaceful days could come back by enforcing Islamic Sharia,that is why Sufi Muhammad was so popular.That is why his son in law Fazlullah is a hero.Fazlullah stammers while talking,but is an outstanding speaker,very popular particularly with female.In his speeches he has been telling women about their rights in Islam,about their right of owning property,share in inheritance,duties of husbands etc.When he asks for money ,women come forward with their Jewellery. I ,want to cut it short,but can tell you that the problem of Swat(And whole Pakistan)can be solved overnight. You ask , "Why such peace loving people,beautiful people have turned violent? Then you assert, "They have not Sir.The people over there want Islamic Laws,Islamic Shariat to be enforced." Najam, Have you been following the events in Swat? Do you condone the actions of Fazlullah and his gang in burnings, bombings and beheadings? Is this the way to bring about Shariah? Is this how you persuade people to your way of thinking? Who will be the beneficiary of such heinous acts committed in the name of Islam? Don't tell me everybody else is doing it. Don't start blaming kafirs and foreigners. Think about how you can claim higher moral ground for Islam and Muslims. Please don't respond in a knee jerk fashion. Reflect on my questions before answering. These fundamentalist Islamists were nurtured by the Pak army from their very initial days. There is a strategic advantage that these militia provide Pakistan : that is to put Afghan nationalism into check. As you know, a strong and fervent nationalism in Afghanistan threatens the existence of Pakistan, because there are bound to be border disputes over the Pashtun inhabited areas. These violent Islamists have thus been a useful tool to murder nationalist politicians in NWFP (specifically from the Khudai-khidmatgar movement) or in Afghanistan. Now the trouble is that these boys have grown too big for their masters. It is probable that the Pak army, in one way or the other, still controls large sections of the Taliban militia. But several Taliban groups are securing their own finances through a carefully cultivated network in the drug mafia. As you know, international illegal drug trade is worth billions of dollars and most of the illegal opium is grown in the borderlands of Afghanistan and Pakistan. If this cultivation is under threat (due to NATO offensive), the militia have to move to a safe place which ensures a proper cultivation and steady supply of the crop. The occupation of Swat is a critical move in this regard. Currently, the Pak army has a choice of engaging directly in a battle with a massive drug mafia of the world or by slyly allowing these groups to do their thing. It has opted for the latter. The techniques that the Swat militia use to terrorize the locals are exactly the same techniques that were long tested by the drug mafia to psychologically weaken the local populations : beheadings, digging people from the graves, turning public squares into blood baths, murdering politicians, artists and generally installing a reign of terror and hopelessness. The story is quite familiar to the bad-lands of drug cultivation : be it Colombia or Mexico. Pakistani Army had no Islamist leanings prior to Zia's regime in the 1980s. In fact, the Army officer corps was considered quite liberal by most Pakistanis. The sharp turn the right was engineered by Zia with CIA assistance to fight off the Soviets. There is no evidence of poppy being a major issue on the Pak side of the border. It is, however, probable that some of the smuggled drugs find their way through Pakistan to foreign destinations. Fazalullah's group is not part of the mainstream Taliban movement. Nor is he known as leader of a drug cartel. His father-in-law and his gang were routed by Pak Army earlier this decade. Fazlulllah has mainly reconstituted during the last year because of the misguided policy of appeasement by the nationalist now in power in NWFP. "Is this the way to bring about Shariah? Is this how you persuade people to your way of thinking? Who will be the beneficiary of such heinous acts committed in the name of Islam? Don't tell me everybody else is doing it. Don't start blaming kafirs and foreigners. Think about how you can claim higher moral ground for Islam and Muslims." Absolutely agree. When such leaders try to unite people under the name of religion, they have their own polotical motives. Religion invariably gets them at least some support, which they would not get otherwise. Such elements must be crushed with no mercy. In order to effectively deal with insurgency, it is necessary to find out the reasons for it and develop the counter insurgency strategy accordingly. During the Afghan war of the 1980s a host of Islamic fighters gathered from all over the world, particularly from the Middle East, Central Asia and Africa into Afghanistan (and Pakistan) to fight the Russians. These people focused simply on fighting, and were left high and dry when the Soviet forces left Afghanistan. The new Afghan dispensation had no place for them as the governance was naturally handed over to the natives and the aliens were expected go back to their homelands. This was not workable as a) they were not acceptable in their home countries and b) after the success in the war their expectations were to rule their destiny and not become subservient to traditional authority. - with its greedy political leaders and cattle like parliamentarians, it is easy to buy the way into power. - being just adjacent to Afghanistan, it is easy to apply militancy when needed. - with a big segment of civil society emotionally unstable and having a self destructive mindset, manipulating public opinion is easy. This was smart thinking on their part and progress on track till 9/11 when Pakistan became the epicenter of American geopolitics. The original plans were no longer workable, so a new strategy of insurgency within Pakistan adopted to carve out an area of influence (their worst case scenario) or to take over the entire country (their best case scenario). 1- The commonly propounded viewpoint that the insurgents are sincere misguided people, harming the country out of ignorance and should be brought into mainstream by counseling and offering some concessions, will not work. 2- To go for a total elimination of insurgency. This means a long term total commitment and efficiency of operations on the part of all major political parties, Army and the civil society to achieve this objective. The downside is that if these are missing then the whole country will be taken over by insurgency. 3- To go for containment. To concentrate the country's military strength and economic resources into effectively stabilizing and developing the country to the maximum practicable extent. Towards this end even let some areas temporarily go into the control of militants. The underlying principle being that the militants should organize their own defenses against the US and NATO forces. If the militants succeed against them, they will consolidate their rule in those parts. If they fail, the territory will fall back to Pakistan, devastated but governable.. These are no easy choices and the way forward requires a realistic assessment of the current situation coupled with effective implementation of a well thought out strategy. The above analysis is simply an attempt to explain the causes of Pakistan's present insurgency, based on recent history, and cannot be proved or disproved beyond doubt to reach a consensus. So it is irrelevant to enter into an argument as to its correctness. Instead for something constructive to come out of it, I would suggest that those entering into this discussion and in disagreement, come up with other reasons to explain the happenings. This approach can lead to a better understanding of the situation for every one. I find postings on this blog very interesting and very open and rational. Can rational people of pakistan like contributers in this blog throw a light on the following. - Do an average pakistani believs that history of india and history of pakistan is same till 1947. As i have seen official sites of both india and pakistan about there history and there is drastic conflict of opinion. Either of two is definitely wrong as it is very logical to say that these two contries share same past. - Pakistan do not official believe that there was any hindu past of pakistan. - Average Indian(hindu) believes that India was attacked by Moh. Gori and Moh. Gazni. and see them in negative context which is opposite of pakistan belief. 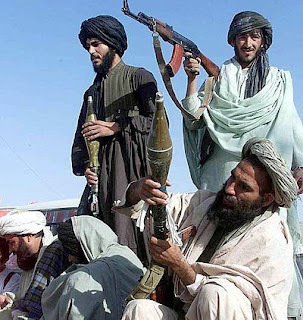 The government (of Pakistan) agreed to impose Islamic law and suspend a military offensive across much of northwest Pakistan on Monday in concessions aimed at pacifying the Taliban insurgency spreading from the border region to the country’s interior. The Swat situation is very difficult and complex, partly due to dithering by the federal and provincial governments who have a confused strategy giving mixed signals to the militants. And the militants themselves are divided between father-in-law Sufi Mohammad and son-in-law Fazalullah. But they seem less divided than the rest of Pakistan in achieving their goals. The situation is further exacerbated by the presence of US troops and the almost daily killings by US predator drones that undermine support for Pakistan’s government and military. A complex situation like Swat requires strong consensus on a coherent strategy with both political and military components working hand-in-hand with the support of Pakistani people. Unfortunately Pakistan’s response to the situation has been very confused. It has neither consensus nor coherence. So the militants have gained an upper hand. I think we are in a long struggle for control between the Taliban and their version of Shariah and modern civil society based on democratic principles. The Taliban clearly have an upper hand for the moment, at least in Swat. They are not likely to be satisfied with just Swat. They’ll soon be aiming for the entire NWFP and then the rest of Pakistan. Unless the governments in the region learn to deal with such insurgencies, I fear that the entire region will descend into chaos and larger civil war. It can only lead to one thing: A cry by ordinary Pakistanis for an authoritarian military dictatorship that uses repression and organized death squads to restore some semblance of order at the cost of a lot of basic freedoms. The question will be as to who can fill the vacuum? The repressive Taliban or autocratic military generals? Pakistanis will most likely be forced to trade whatever freedoms they have for more security. The history of the subcontinent is obviously the same till 1947, the difference is the average Indian and Pakistani perception of the same. Now that another 60 years have passed admist fraying emotionalism of each party trying to prove itself right, the historical perspectives have become even more distorted. So it is almost impossible to find rational answers to the points of difference pointed out by the Truth Seeker, but seeking these answers is not relevant too. With over 60 years gone by, the definition of a Pakistani is a person who was born, or whose children were born, within the frontiers of this country. All such persons, irrespective of their religion or religous sect, are equally stakeholders in the country and thereby equal as citizens. Since the future of all such persons is linked to the progress or retrogression in the country so it is logical that they act towards the country's betterment which will lead to better lives for themselves and their generations to come. This should be the perception of the average Pakistani who I agree is still not fully conscious of it but with time is becoming so. In fact this realization is growing faster in the wake of 9/11. Whether Ghouri or Ghaznavi was good or bad does not matter, and moreso cannot be logically established by an average Indian or Pakistani. This debate shoud be left to the students of history who are trained to analyze conflicting history writings objectively. Will appreciate if Indians can comment on what the Indian perceptions should be and what these actually are. Differences do have a begining and to find solutions one need to understand the root cause. become world LEDAERS as the area was in some 1700 AD. 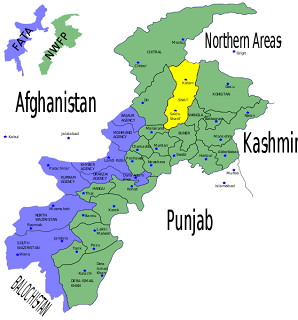 I am firm believer that Only as a Combined region we all can develop and prosporous and not individually as nation. Pakistani Ambassador Haqqani's opinion published in USA Today. Pakistan remains committed to fighting and defeating terrorism. The talks between the government of Pakistan's Northwest Frontier province and supporters of traditional Islamic law in the Swat Valley should not be viewed as a concession to the Taliban. The arrangement in Swat is a local solution to a local problem that was being exploited by Taliban and al-Qaeda supporters from outside the region. The democratic Pakistani government is not ceding ground to militants. It is attempting to build consensus against them. After all, governing is about consensus and compromise. Pakistan remains committed to fighting terrorism, militancy and extremism. While almost all of the world views terrorism with fear and fascination, the women, men and children of Pakistan have been dying by the thousands, innocent victims of an insurrection whose goal is the destruction of Pakistan. As President Asif Ali Zardari and Prime Minister Yousuf Raza Gilani have repeatedly said, this is our war, and we intend to fight and defeat terrorism. Over the past year, the lawlessness and anarchy of the Federally Administered Tribal Areas, bordering Afghanistan, have spread to other parts of our nation, most notably to the beautiful Swat Valley. What was once the "Switzerland of Pakistan" has become its Beirut. The former princely state of Swat was always somewhat different from the rest of Pakistan — much more traditional, much more conservative before and after its merger into Pakistan in 1969. Swat has been deteriorating by the month. The people have been forced to choose between exile or submission to the most fanatical and often barbaric extremism. Our goal is clear. We are attempting to drive a wedge between al-Qaeda and the militant Taliban on the one hand, and Swat's indigenous movement that seeks to restore traditional law in the district. This is part of a pragmatic military and political strategy to turn our native populations against the terrorists, to isolate and marginalize the terrorists. Pakistan's attempts to satisfy some of the concerns of local groups are conditional on their commitment to peace and the laying down of their arms. Although some technical amendments to existing regulations would allow for some elements of Islamic legal principles practiced locally throughout history, public mandatory education of girls would be guaranteed and protected. Husain Haqqani is Pakistan's ambassador to the United States. 1- Indian subcontinent (India, Pakistan and Bangladesh) was the most prosperous region in the world till around 1700 AD. It was called the Jewel in the Crown of the British Empire for the same reason. For this same reason, invaders right from the start to the British kept invading and ruling the subcontinent. The question arises as to why despite being the most prosperous part of the world, the subcontinent failed to secure itself from invaders repeatedly. I think this is the root cause of the insecurity ingrained on the subcontinent psyche. A rational answer to this question will provide the means to eliminate the root cause. I can't think of any and will appreciate if you can share the answer with me if you find one. 2- Only as a combined region we all can develop and be prosperous and not individually as a nation. Very correct and for this unified approach, the driving force will be achieved if we set prosperity as our prime national objective. Towards this objective better relations will develop and with increasing prosperity, mutual understanding and trust will set in. I think this is a more workable solution than trying to build consensus on history. The prosperity of people of a country depends upon justice.In the absence of social justice no country can progress....rather it gets disintegrated.The problem here is not the implementation of sharia laws but the main problem faced by every pakistani these days is justice.When the rules for the rich and influential are different from those for the poor then these kinds of situation can erupt anywhere.People of Swat need justice and so are the people of Islamabad,Quetta or Lahore.It's just that they are led by those who think they can find prosperity in the implementation of Sharia laws.When we have a President who is there due to NRO then why aren't we not recociliating with Fazlullah.I am not a supporter of these father-in-law and son-in-law but the root cause is justice.You just implement social justice in whatever form let it be Sharia laws and then see how peaceful this area becomes. It is really great to see that you see some rationality in my thoughts.I also very much agree on Mahreen thoughts of social justice. is no denying fact that in fall prey to invaders. Root cause for both India and Pakistan(including bangladesh) and Hence this region. Let me call this region as ("BIP"). power still remained in hands on selected few. Despite the region becoming individual democracies in western dictionary. 1. Rich,Middle Class Upper middle class and a few which have access to education so that they can uplift them. 2. The poor and the very poor and those with no access to any education. resudial fudal lords , tribeshead or whosoever.The people in class 1 were supposed to act in leading role so maximum of class 2 can uplift them. But here is where problem comes ,People in class 1 finds themselves inferior to so called "westeren civilization"
India at least here is true soverign as class 1 incldes all regions. BIP region has to stop aping west and its solution as the solution to this region problems. this was the golden land. My point is that the solution for this region has to be religion independent.That is why i condemn what happened in swat. At the same time it has to be independent of western bias. And here lies the conflict,we have differences over past so cant look backwards for solution. West has no solution for the region so cant look there also. So ............ we may need to look with in. On the root cause: besides inbuilt hypocrisy, another important factor is the highly idealist, emotionally unstable mindset of a large segment of populace in BIP because of which people cannot see reality around them and cannot think rationally. This leads to self destruction rather than self preservation, and this is exactly what is happening now. It must have been the same all along so very easy for invaders to subjugate people who are already on a self destructive path. On social injustice: The root cause of Maoist Naxalites and Islamist Jehadis is the same, that is economic deprivation which leads to social injustice. The very valid reason being that the rich and upper middle classes are only westernized in appearance. In essence they are even more dogmatic, guided by false convictions, than the poor. This is corroborated by the fact the prosperous, well educated middle classes are the bastions of muslim and hindu fundamentalism in the respective countries. The solution obviously lies in economic uplift and provision of social justice to the poor. Economic uplift is only possible if the countries are developed enough to make good usage of the immense human resources of the region which are presently going waste, thereby increasing their productivity. One economic indicator is the per capita GNP, which of these countries is among the lowest in the world. To get out of third world, the per capita GNP should be more than $1000 per annum. Closely following this should be equitable distribution of wealth to reduce social inequality and injustice. However, without the increased GNP, equitable destribution of wealth is senseless; what will be achieved is equal distribution of poverty which is undesirable as it further reduces the GNP. On the solutions: good rulers like Ashok, Akbar, Sher Shah Suri etc were characterized by their qualities of good governance; and obviously this quality is independent of religion. Another point of note is that good governance is the ultimate objective; monarchy, dictatorship or democracy is only the route to its achievement and not an end in itself. I fully endorse TSIH views that the solution must be homegrown to suit our collective psyche, and independent of religion. For good governance we must come out of our conviction that western style democracy is the only workable system so we must adopt it. Since it does not suit our collective psyche, we only end up aping it; thereby not gaining the objective of good governance which is achieved through it in the west. A glaring example is the personality cult in the BIP politics which is a monarchist trait, totally out of place in modern democracies. Just some more points to add that, its just not western democracy but we need to target western lifestyle (which is based on artificial enegy and unnecessary consumption). I find many solutions when i see our lifestyle back in time. You say, "However there is no such learning after the death of Bhutto nor any action from government. Rather it is giving away to the pressure of the extremist / freedom fighters [ rambo iii]"
You are embellishing the truth to make your point. The defeat of pro-Talib forces in the election is ample proof that the extremists do not have broad support. Predator strikes by US killing civilians regularly do affect people's perception and undermine opposition to the Taliban.